RUSH: Even while I am away, I am never away. I always check in, I always stay informed, I am always learning — and so it was over the weekend. I was doing a little bit of show prep. Actually, it was Friday night. I was out Friday. I ran across a fascinating story. I don’t know how much play this got. You guys will have to tell me. Here’s the headline: “Vatican Cardinal Warns: ‘West Will Disappear’ Because of Mass Migration,” dot-dot-dot. Does this ring a bell with anybody? This is the old birthrate-replacement level. In Germany, their birthrate replacement level is way below normal. That’s why Angela Merkel was happy to be importing 800,000 migrants every year for her labor force. “In recent interviews, [Cardinal Sarah] has gone even further, noting that priests, bishops and cardinals within the Catholic Church have betrayed the teachings of Christ by pursuing political activism. Sarah’s comments put him at odds with the Pope, who has relentlessly promoted migration from African and Middle Eastern countries into Europe. “According to the cardinal, it is wrong to ‘use the word of God to promote migration,’ and it is better ‘to help people flourish in their culture than to encourage them to come to Europe. '” Boy, this guy has hit the nail on the head. 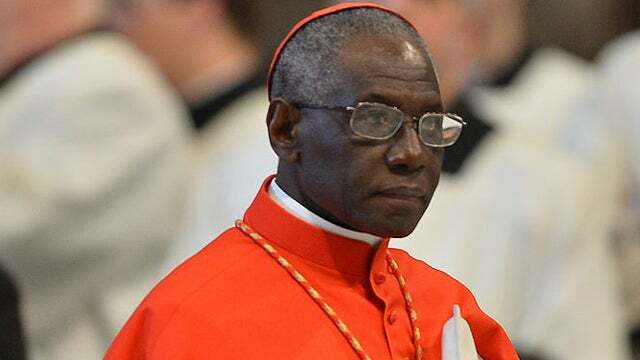 “Sarah slammed mass migration as a ‘new form of slavery’ because migrants end up ‘without work or dignity.’ ‘Is that what the church wants?’ he asked.” But at the end, Cardinal Robert “Sarah remained hopeful of the situation being reversed, asserting, ‘This is not the end of the world; the church will rise,'” do the right thing as a church, and return and get back to basics. He doesn’t say how or when that’s gonna happen, but that’s his hope. RUSH: Here is Megan in Baltimore, as we head back to the phones. I’m glad you waited. Hello. 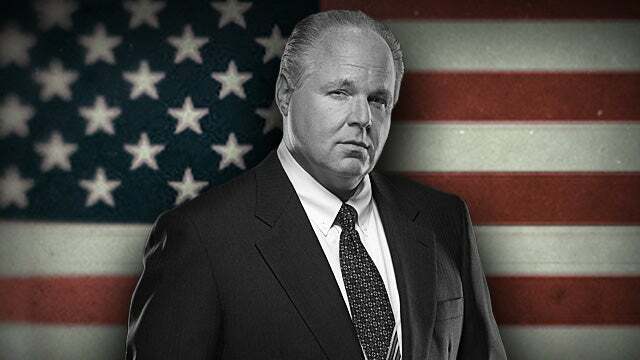 CALLER: Thank you so much, Rush, for taking my call. CALLER: I wanted to… You were talking in your first hour about you were talking about Cardinal Sarah and what he said about immigration and how that’s affecting just the West and the demise of the West is imminent. RUSH: Right. Predominantly in Europe is what he was concerned about. CALLER: Right. So Cardinal Sarah is… There are a lot of Millennial Catholics who are watching him carefully because he is becoming a very powerful voice. He doesn’t speak much, but when he does, it’s very profound, and he has some very interesting things to say about socialism, because he’s… You said you weren’t sure where he’s from. He’s from Guinea, and he has a very interesting story about fighting Marxist regimes in Guinea. RUSH: Well, you know, it was very brave because the pope doesn’t agree. The pope doesn’t agree with anything Cardinal Sarah said, and he called out Islam in Europe as the primary enemy via all of this migration, and he said the West is looking at not surviving because their birthrate replacement levels are low. You just… He’s got a book, and he says the Catholic Church can rise again and stop this and save it. But, man, it was… I’m glad to hear… I’m short of time. I’m glad to hear that Millennials have attached to this guy, because clearly, he’s more in tune with what the church ought to be saying than what the pope himself is saying.